A beautiful prong set 6x4 mm oval genuine green tourmaline pendant in a distinctive design. This pendant has matching earrings which can be viewed by clicking here. This pendant comes in several other options of genuine gemstones. This elegant prong set 11x9 mm oval cabochon black onyx pendant will be a stunning addition to your fine jewelry collection. This pendant comes in several other options of genuine gemstone cabochons. A beautiful prong set 6.0 mm round genuine Swiss blue topaz pendant in a distinctive design. This pendant has matching earrings which can be viewed by clicking here. This pendant comes in several other options of genuine gemstones. A beautiful prong set 8x6 mm oval genuine rhodolite garnet pendant in a distinctive design. This pendant has matching earring which can be viewed by clicking here. This pendant comes in several other options of genuine gemstones. This stunning prong set 7x5 mm emerald cut Chatham Emerald pendant comes with two diamond accents at the top with a TW of .06 carats. All of the pendants shown are AAA grade genuine gemstones as illustrated. 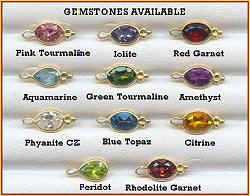 Some of the pendants shown are available in many of the genuine gemstones shown here. 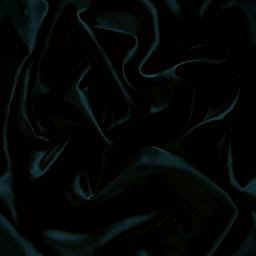 By clicking on the above pictures, you will be taken to an enlargement of the pendant shown. You can call toll free at 1-877-890-GOLD for information and prices for other gemstones.